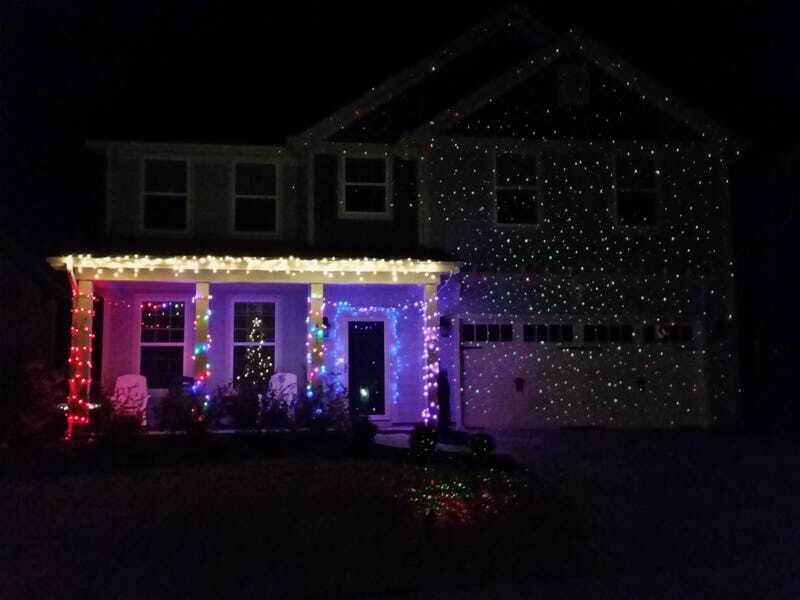 Well this is what your house looks like when you only purchase holiday decorations during the after holiday clearance sales and allow your kids to pick whatever they want in the lights department. My poor wife. Some of our neighbors go all out and we just let our freak flag fly. We got blue, red, purple, and multi colored strands + white icicles with a laser green and red projector as the icing on the cake. Ah well at least we do something (looking at you boring neighbors who do nothing). I have more lights to hang but that’ll have to wait for another day. I’m thinking about wrapping the promaster on my week of vacation coming up. Think it would look cool in the driveway all lit up.